So which is better – Timber or Steel? 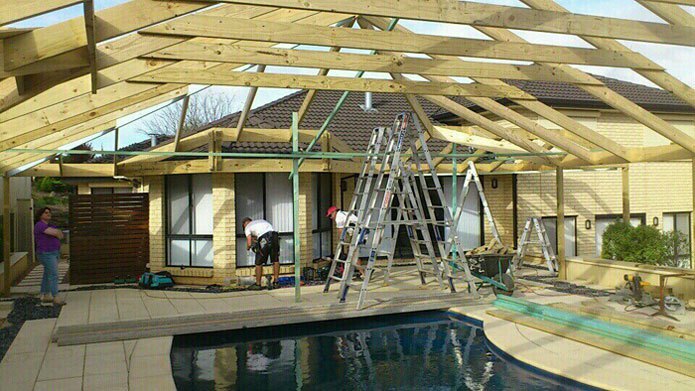 This is a very common question posed by many people looking to enhance their home with a Carport, Verandah or Pergola in Adelaide. Additions of this nature can be costly and no body wants to make the wrong choice. It’s a common misconception that all timber requires constant,on-going maintenance and many Adelaide homes struggle with white ant infestations on their property. These common causes for concern were a real problem in years gone by because Oregon Timber was widely used for external structures. Although this type of timber deterred white ants, unfortunately it was still susceptible to rot, warping and cracking. Thankfully these issues are a thing of the past, thanks to the pre-treated products now available on the market. Timber is a fraction of the cost! Now everyone can enjoy the savings, freedom and versatility of quality Timber framed products to enhance and add value to their home without the worry of maintenance issues in the future. Our stylish Timber Framed pergolas, verandahs, carports and gazebos will add warmth, character and value to your home without the hefty price tag. You can have complete peace of mind knowing your product is Guaranteed for Life against white ants and rot, is Maintenance Free and fully backed by our 10 Year Structural Warranty. So why wouldn’t you choose the strength and beauty of timber? Call us now for great advice and design ideas – our Mobile Showroom comes to You!